Christmas gifts for your children and spouse are ordered, perhaps even already wrapped and under the tree. Now what about everyone else on your list? If you've got a long list to check off, then we've got the perfect suggestions for you. Check out this holiday's coolest gifts for everyone on your list, from Grandparents to Teachers to Pets! The words of our elders are fleeting and priceless. Soaking up their stories each time we visit with them is the most important thing we can do to honor their legacy! With a wonderful service called StoryWorth, you can get Grandpa involved in telling his own life story in a way that will be captured forever. A question about his life is emailed from StoryWorth each week and it can be answered as simply or as elaborately as desired. The answers are all compiled into what turns into a life story that you, and your children, can read and cherish for years to come. Grandpa not tech savvy? Have the questions emailed to you, have him tell you the answers (great way to hear them straight from the source!) and then later you type in the email reply that gets tucked away in his StoryWorth account. He will be thrilled to share his tales, and honored that you wish to hear and remember them. Bonus: You can include others in on the storytelling as well! 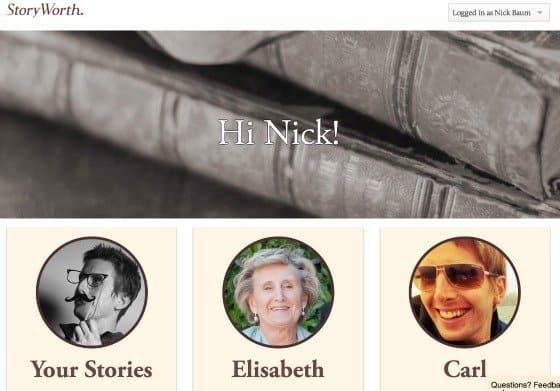 Add Grandma, yourself, and other friends and family to keep the story sharing alive! Find more ideas for Grandpa in Holiday Gift Guide for Him. We've never met a grandmother who didn't enjoy an excellent cup of tea. 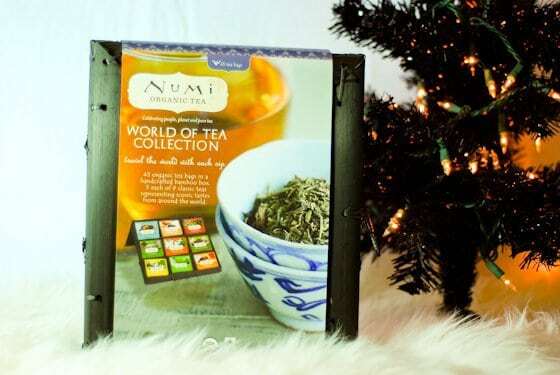 So, why not get the Nana on your list this World Tea collection from Numi Organic Tea? Whether she is your grandmother, or grandmother to your kids, this selection of 45 flavorful teas from around the world is sure to bring a smile to her face! 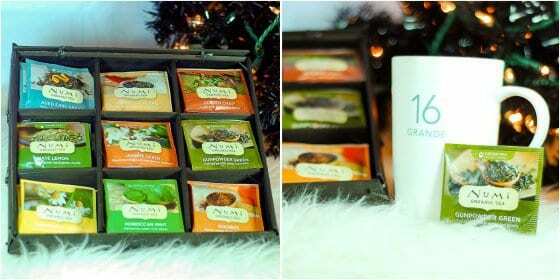 The Numi Organic World Tea Collection contains 5 individually packaged tea bags for each flavor of: English Breakfast Blend, Italian Aged Earl Grey, Indian Golden Chai, Brazilian Mate Lemon Green, Chinese Jasmine Green, Taiwanese Gunpowder Green, South African Rooibos, Moroccan Mint, and Egyptian Chamomile Lemon. This exotic collection is housed perfectly in a handcrafted bamboo box, making it even more personal and special. Find more ideas for Grandma in Holiday Gift Guide for Her. 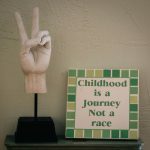 to display, showcase and enjoy any time you have a cup of tea or coffee. 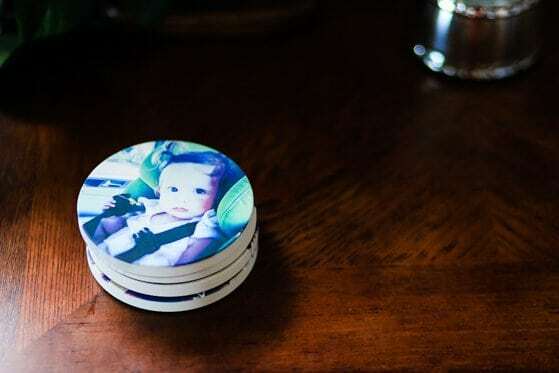 Replace your grandma's ancient stained coasters with the faces of people that she loves most. This is a truly thoughtful gift and it will only cost $25 plus shipping - you can't go wrong with that. Whether they're 12 or 50, brothers always seem to be the most difficult people to buy Christmas gifts for. 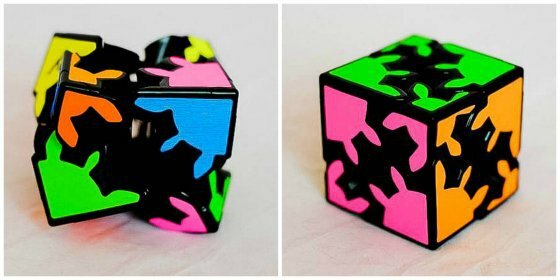 Give your brother the gift of challenge in the engaging Gear Shift puzzle. 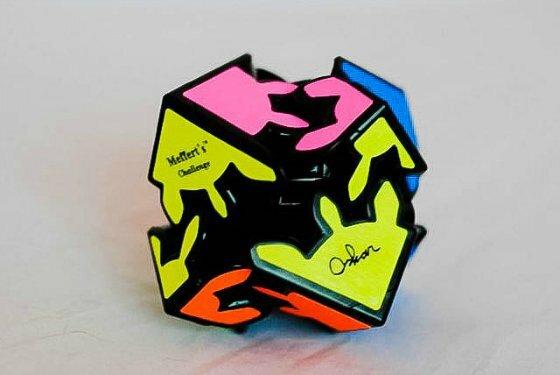 Gear Shift has eight interlocking gears, that might appear simple at first; but once the interlocking core is pulled apart, the puzzle changes shape as each gear moves independently. Your brother will love the challenge of trying to match the gears back together to form solid colors. The Gear Shift is the perfect puzzle to entertain and occupy your brother's time after school, on the bus or while winding down at the end of the night. It will keep his mind sharp and challenge him mentally and visually in ways that video games and TV can't. Find more ideas for brothers in Holiday Gift Guide for Him. The gifts we LIKE to buy is a reflection of what we would like to receive. What is the one item that your mom ALWAYS buys for you as a gift? Clothes! (No matter how much you beg her to stop). 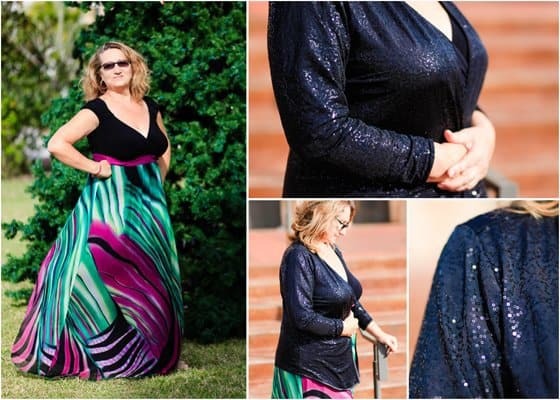 So turn around and give her what she secretly wants - a gorgeous holiday outfit by IGIGI. 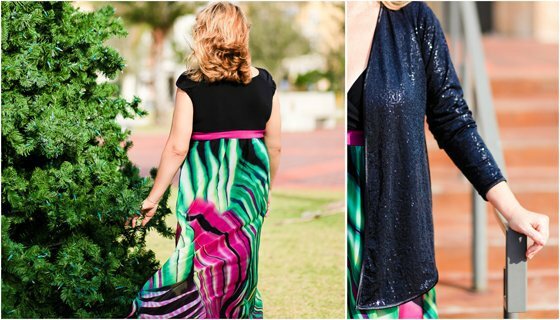 a touch of festive to the outfit that is fit for a New Year's Even party or a fancy dinner. “replacement” anti-aging cream containing regenerating cytonacre sp is enriched with sesame extract and moisture captors for immediate comfort. 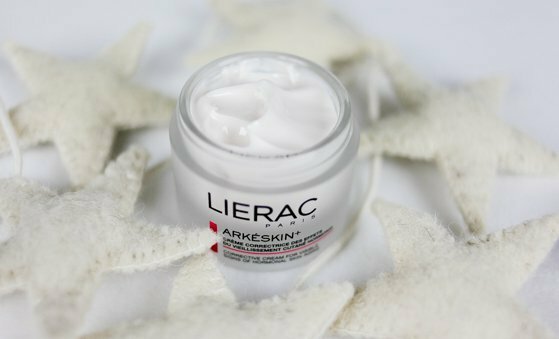 The skin feels smoother and firmer without the use of phytoestrogens. 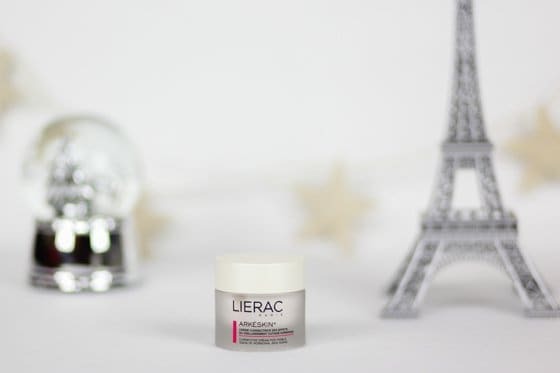 This moderately priced innovative cream is the perfect answer to this year's gift for your mom . What can be more christmas-like than baking as a family during the holidays. 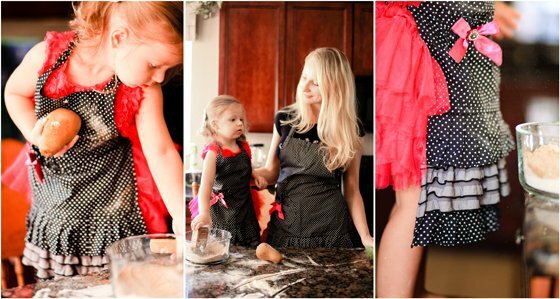 Flirty Aprons has figured out how to make it more of a family affair by designing adorable matching aprons for mom and daughter. The cute detailed aprons make this girly affair even more fun with frills and bows and gems on gorgeous patterns. Buy two matching aprons for your mom and yourself, or gift a matching mom and daughter set to your favorite mommy/daughter team. 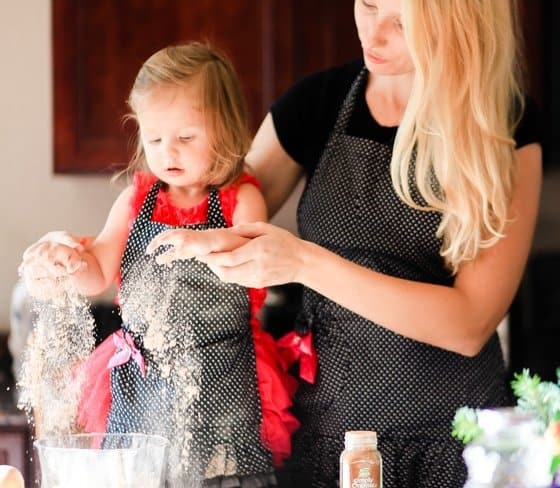 Made with quality that is apparent, and design that's undeniable, Flirty Aprons will help you cook in style this holiday season with this perfect gift for mom/daughter duos. One of the best gifts one could give is the gift of comfort. Luxurious, safe, cozy comfort. Whether you see your sister frequently, or live far apart and miss her like crazy, a luxe blanket from American Blanket Company will make her feel spoiled and loved! 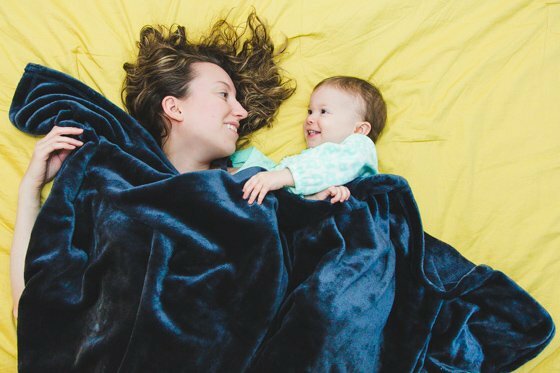 The Luster Loft Fleece Blanket is literally the softest blanket that you will ever find. 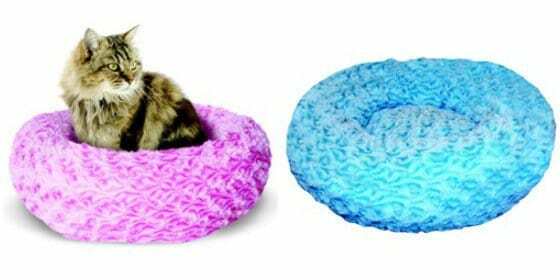 She will cozy up in it all year and think of what a wonderful sibling you are. Treat her to one of the gorgeous colors from their fall/winter collection: chocolate, navy or pink! 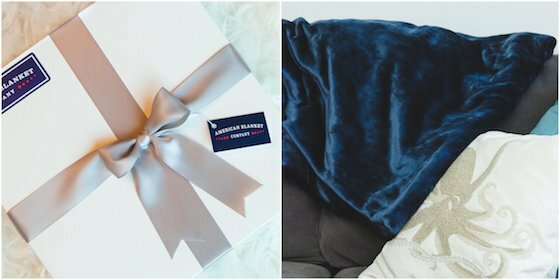 As a gift giving perk, all blankts from American Blanket Company come wrapped up nicely in a big white box and tied with a huge silky ribbon. We dare you not to buy one for yourself, too! 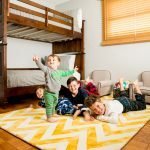 Check out this little behind the scenes look into these wonderful American Made blankets. Do you have a sister who loves her iPad, and her kids do too? If so, then we recommend this great iPad case as her Christmas gift this holiday season. The Shockproof Silicone Case for iPads (generations 2, 3, & 4) by One Step Ahead is the perfect gift for someone who wants to share their iPad with small children. Made from silicone, this case protects against bumps and drops much better than standard foam covers. The case, which also doubles as a stand for watching videos, features anti-slip end bumpers which allow for a better grip. All ports and buttons remain accessible, and sound through the iPad's speakers is even amplified. Comes in a vibrant orange color. Find more ideas for sisters in Holiday Gift Guide for Her and Holiday Gift Guide for the Fashionista. If a proud Auntie is on your Christmas shopping list, you are sure to impress with a calendar from Pinhole Press. 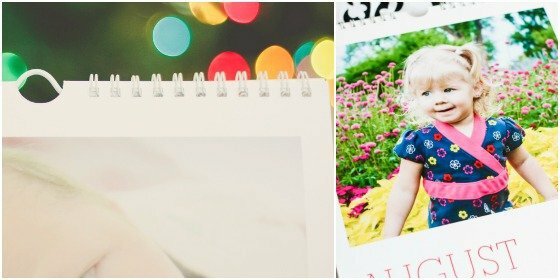 A personalized and customizable calendar really is a gift that keeps on giving throughout the year. Every time your Aunt flips the page, she will be greeted with a photo that you easily uploaded through the Pinhole Press site. 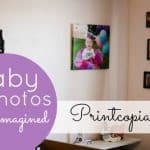 Your favorite photo memories are printed on luxurious eggshell cardstock paper, and the photos come to life with quality ink and superior printing. There are many different wall calendar options, sure to match your Aunt's home decor and style. 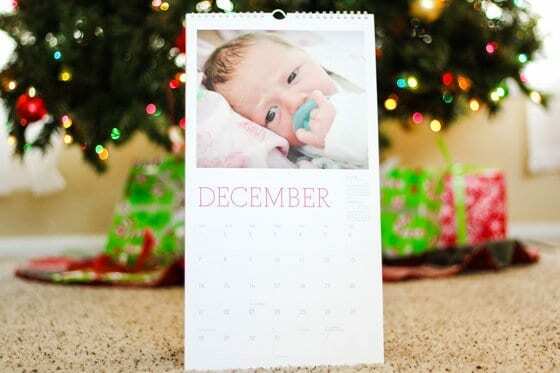 Whether she would love a magnetic calendar, or a framed one--Pinhole Press delivers (quickly!) and she will adore it for the next twelve months. 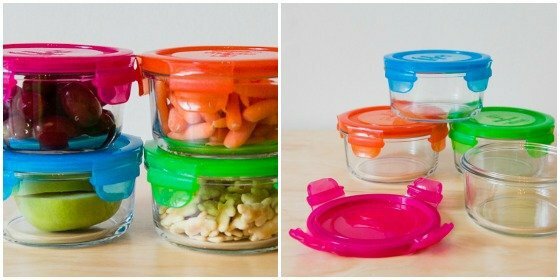 Show your favorite Aunt how much you care with the gift of food - but not just food - safe and healthy storage containers for her lunch! She will adore these precious little Lunch Bowls by Wean Green. They are made from strong tempered glass, with a very secure, sealed snap-on lid that keeps food fresh and lunch bags leak free. Storing her food in glass means no chemicals leaching in through plastic. 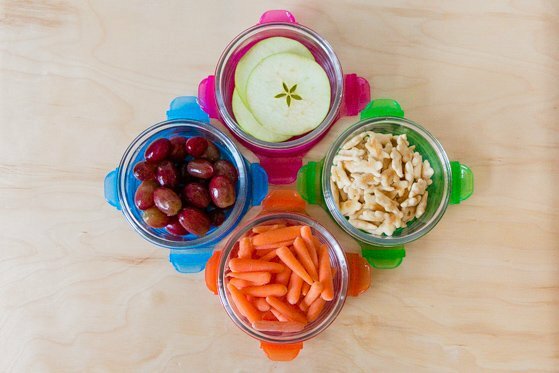 Wean Green Lunch Bowls come in four fun colors and are the perfect size for a side of soup or an after lunch fruit snack. They’re easy to clean and do not stain or absorb smells like plastics do, which is the visible perk to these sweet lunch bowls. Your favorite Aunt will know she’s the favorite when she’s packing her lunch in her handy, healthy, Wean Green Lunch Bowls! 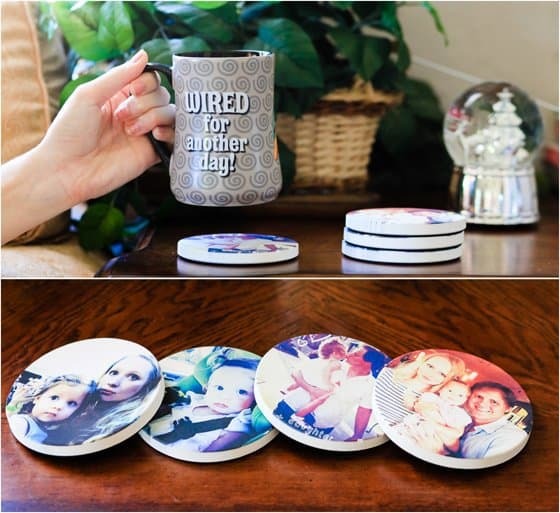 Bonus: They're microwave safe, as well as freezer friendly and dishwasher safe! 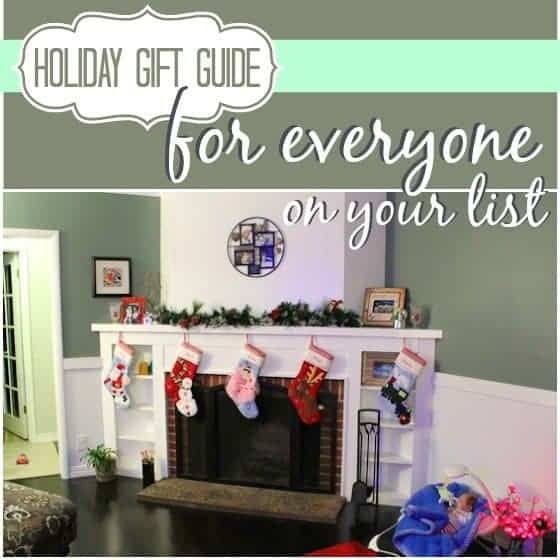 Find more ideas for aunts in Holiday Gift Guide for Her. Surprise your guyfriend with a cool way of safeguarding his phone or iPad. Who hasn't had their phone soaked by accident and then had to pay to replace it? Make sure that next time it happens to your friends, they don't have to waste money, by gifting a Bheestie bag. This simple bag dries up your waterlogged electronics in as little as 24 hours. 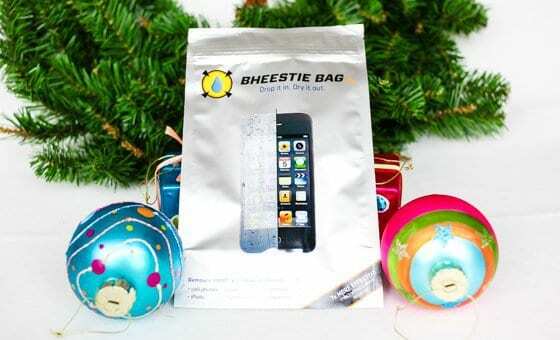 Bheestie can be used daily to remove the moisture that accumulates in our gadgets and keep them working their best. 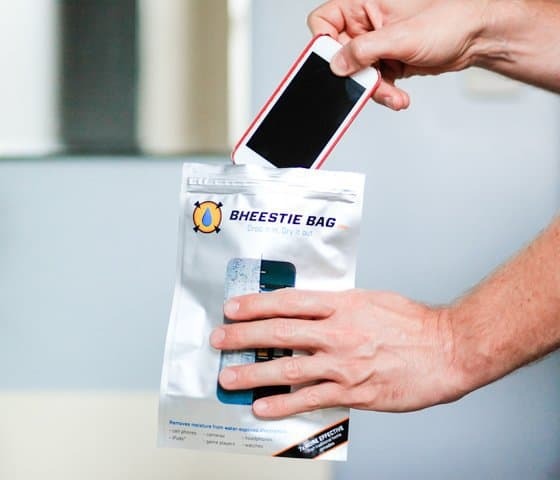 Bheestie came up with a bag with special water absorbing beads that draw out all the moisture out of your electronic devices saving them from imminent death and damage to the circuitry. When something happens, your friend will have a Bheestie bag to save them because in situations that involve water minutes make the difference between a permanently dead device and one that can be saved. Find more ideas for uncles in Holiday Gift Guide for Him. 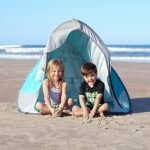 Do you have a niece or nephew on your list that loves outdoor activity, but can be tricky to shop for? We love this cool customizable helmet from YAKKAY. 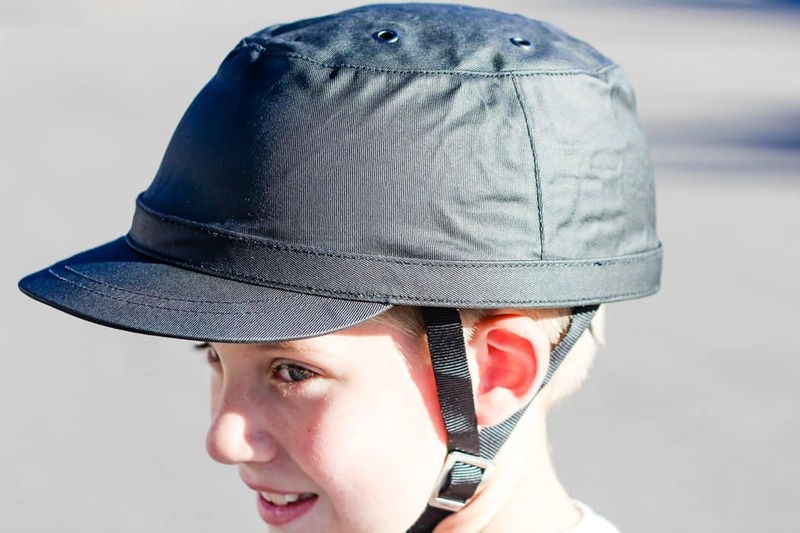 A bike helmet from YAKKAY is the perfect fusion of safety and style. You start by choosing your color and size of helmet shells, and then you select a stylish hat-like cover that fits perfectly over the helmet. There are so many options of covers, there is sure to be one that matches every unique personality. 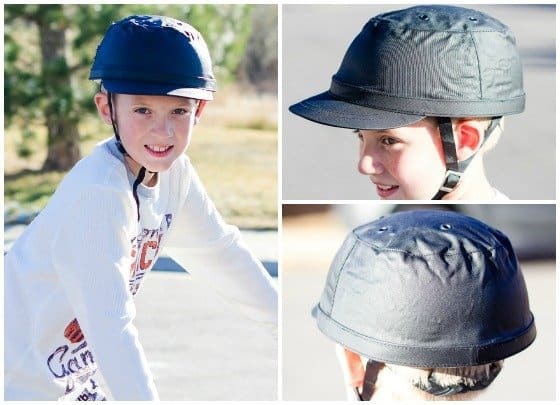 Whether he or she is 7, or 27, the biker in your family will adore the thought behind this one-of-a-kind helmet that is sure to wow any group of friends on the road. A gift of a sweet helmet from YAKKAY is acknowledging that you appreciate them being safe, but also value their stylish ways. Afterall--it's "Brainwear for smart people." 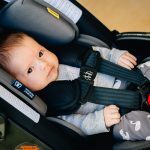 Find more ideas for nieces and nephews in our holiday gift guides for toddlers & preschoolers, gradeschoolers, and tweens & teens. Your girlfriend is always talking about how she wishes she could have a day at the spa. While you may not be able to invest in a gift that extravagant this year, you can indulge her with some of our favorite products from SimplySkin Rx! 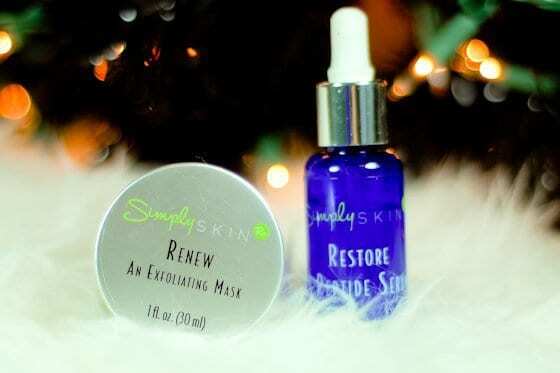 The SimplySkin Rx Renew Exfoliating Mask promotes healthy collagen and elastin with a weekly exfoliation. Additionally, it removes unwanted oils and helps to decrease puffiness and inflammation which can affect skin's color and glow. Now, what woman doesn't want to glow during the holidays? The Restore Anti-Aging Peptide Serum helps to decrease the fine lines and wrinkles that your girlfriend may complain are showing up on her forehead, around her eyes and mouth, and her neck. 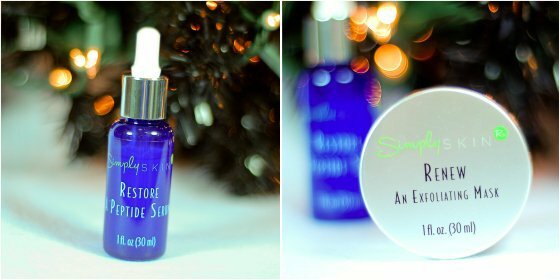 This serum plumps skin and locks in moisture to give a youthful appearance to any girlfriend on your Christmas list! Rather than buying another generic gift this year, go for something unique. Soludos is a shoe brand that makes uniquely patterned sandshoes and espadrilles that threaten to overtake your shoe closet with their cuteness and low maintenance. Worn with virtually any outfit, both the espadrilles and the sandshoes by Soludos are the to go shoe of the moment. 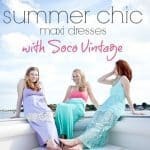 Your girlfriends will absolutely love the designs and comfort of the shoes and you'll bet they will wear them everywhere. The promise and joy of endless summer is what Soludos are all about, so bringing a bit of sunny attitude to anyone's life is a great idea. 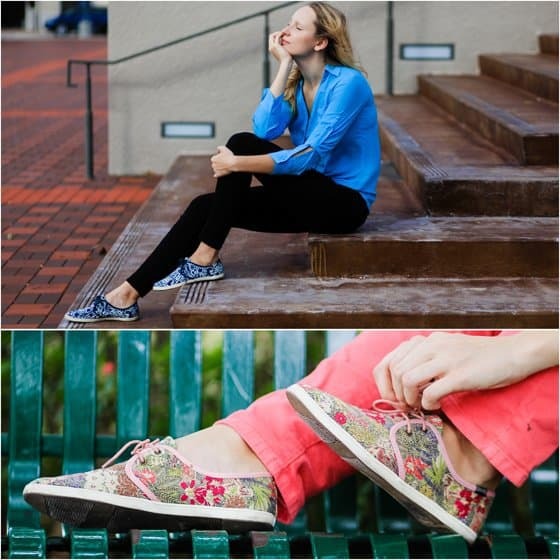 Made of quality materials and unique designs with new patterns coming out every season Soludos will be your and your friends' favorite comfort shoes that don't ruin the outfit. 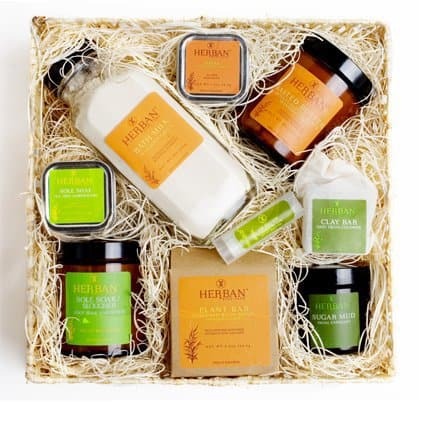 This Christmas, if your looking for a gift idea for the friend that has everything, try Herban's Body Care line, a wonderful range of handmade bath and body products, which will bring a smile of delight to any friend on your list. 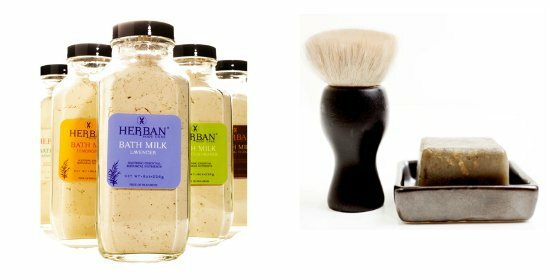 Herban products are an organic body care line, handmade, and natural. 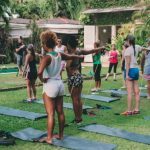 Not only do the products make you feel good, but they help to heal and rejuvenate any skin-type, as they all have body-nurturing bio-plant components. We just love the smart and eco-friendly packaging and the amazing way it leaves the skin after every use. Herban makes it easy to pick out a gift for your friend, as they have gift packages for every friend on your list. Simple formulations, effective products that appeal to the senses, anyone receiving this gifts will be pampered from head to toe. Find more ideas for your bestie in Holiday Gift Guide for Her and Holiday Gift Guide for the Fashionista. 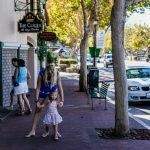 If you know a professional photographer or even just a hobbyist, they might often express how frustrating it can be to find the correct settings on their DSLRs to take beautifully exposed photos. Sometimes, by the time they've adjusted and tested their settings, their subject is gone or has changed. 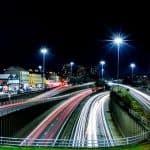 Light meters can help determine which settings will work best for their subject, but can be inconvenient to tote around with all of their other equipment. 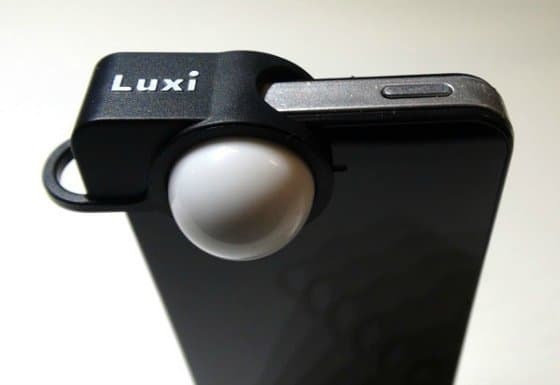 Luxi Light Meter by Extrasensory Devices is a tiny innovative diffusion dome that fits securely over an iPhone's front facing camera. Simply download the Luxi App onto your iPhone, slip on the Luxi Meter, and take it with you on all of your photography outings. When you're ready to shoot, click on the Luxi App and aim it at your subject. Input the App's readings into your DSLR and you're ready to take perfectly exposed photos. 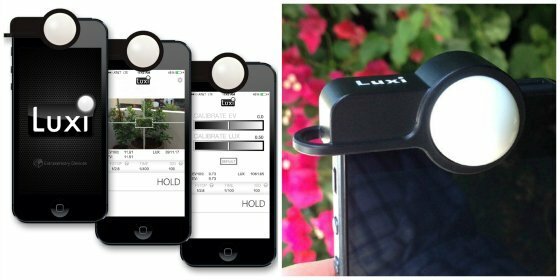 The Luxi Light Meter is the perfect gift for the photographers in your life. They will absolutely love its convenience and accuracy, not to mention the fact that it is tiny enough to fit right onto their iPhone. No longer will they have to lug around larger, more expensive light meters! Find more ideas for guy friends in Holiday Gift Guide for Him. We think getting your child's teacher a Christmas gift is a wonderful gesture. Get him or her a Custom Day Planner from Mpix for a truly unique yet practical gift they will enjoy throughout the year. Choose from 39 different themes including peachy chevron stripes, lime-colored honeycombs, pink starburts, and sophisticated black. Planners are metal spiral-bound and printed on Mpix's thick, soft Signature paper. 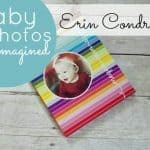 Covers are made of a durable matte finish which can be customized with your own text and 1-4 photos. You choose the starting month so your child's teacher can start using it any time of the year that you chose. 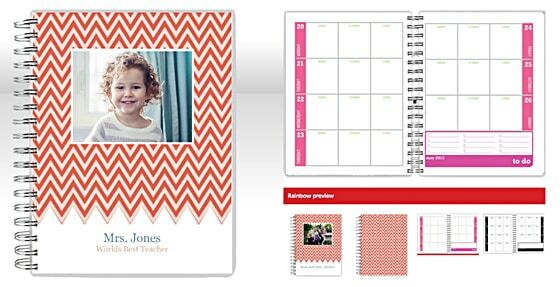 Make this customized planner a gift from your child and her friends--go in on this great gift with other parents and include photo of each child on the cover! Chilly Jilly jacket in a bag. It's like a wrap that is a blanket but with sleeves. Made out of a luxurious lightweight fabric, the jacket is an easy and cozy all day coverage accessory. They can wear it everyday for added warmth or carry it in their purse just in case. Your co-workers will certainly love you and you'll have fun seeing your gift worn every day all year long. Whether you have left your pet alone in the house during the day, or have ever had a pet sitter come to feed him while you've been away on vacation, you've probably wondered what he was doing and if he was OK. Many people cherish their pets and consider them part of the family. Leaving them for a few hours or a few days can cause anxiety, not only for them, but for you as well. This Christmas, get a gift that will take that anxiety away. 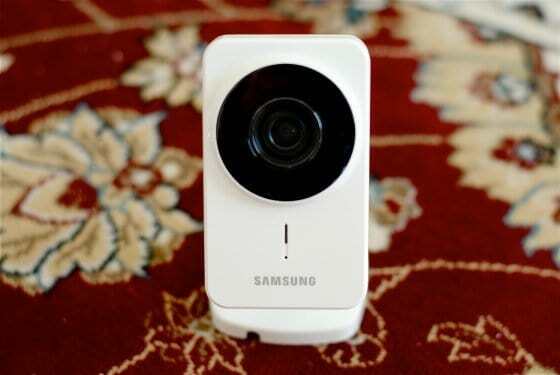 The PetCam by Samsung is a high tech video monitor that can be installed in just minutes. Once installed and activated, you can view your pet through your smartphone, laptop, tablet, PC or MAC from anywhere in the world in True Day/Night DVD quality video. The Samsung PetCam has the capability of monitoring with up to 10 different cameras so that you can view your pet from any room in the house. It has clear night vision up to 20 ft, and two-way talk so you can comfort your pet with the sound of your voice while you're away. And you can instantly upload and share videos and photos of your pet on YouTube and Picasa. This is the perfect gift for pet lovers and their pets, as it will ease their mind when they are away from their pet. If you find yourself grabbing a packaged toy off the shelf at the grocery store or a bag of treats at the checkout of your local pet store a few days before Christmas each year, you're not alone. Many people simply forget to add their pets to their gift lists, or just don't have a clue where to find unique gifts for their furry loved ones. Instead of a rubber squeaker toy or a catnip filled mouse that your pet will surely grow tired of or lose behind the couch by the new year, why not get a practical, stylish and unique pet gift from LazyBonezz pet company that you will enjoy as much as he does? 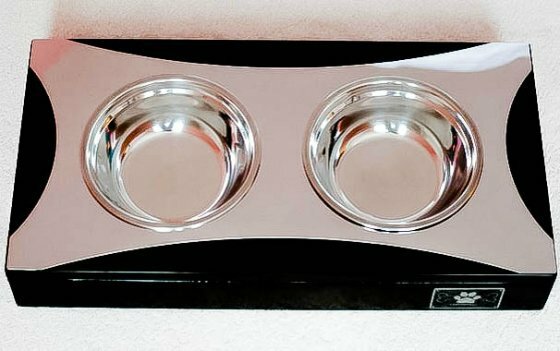 The Luxury Double Feeding Dish by LazyBonezz is made of quality wood and stainless steel. The wood is water resistant and the stainless steal bowls are removable and dishwasher safe. This feeder is coated with a glossy non-toxic finish, and comes in three sleek color choices to match the style of any home: Ebony Wood, Espresso Wood, and Fire Red Wood. 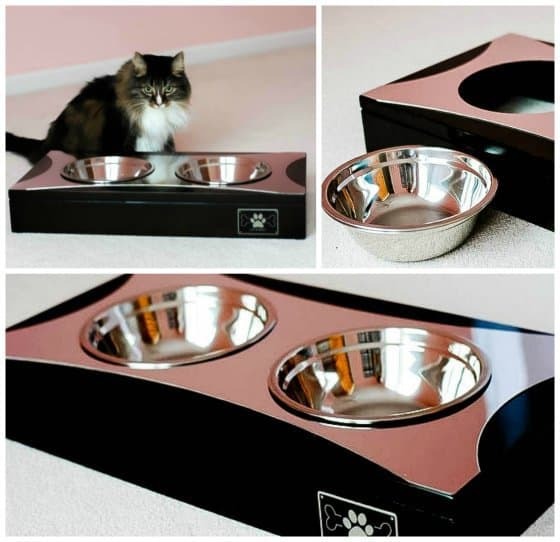 Each bowl holds up to 48 oz of water or food, and it's modern, low-to-the-ground design makes it perfect for both multi-cat households and large dogs. You will love the look of the Luxury Double Feeding Dish and how it blends into the decor and furniture in your home. And instead of a toy you will most likely have to throw away after a few months, your pet will continue to use this gift for years to come. Don't forget the cat this Christmas! Pet company Hagen has a wonderful selection for your furry, feathered (or finned) friends. From toys to beds to feeding supplies, Hagen leaves no stone unturned when it comes to pet care. Browse their extensive collection of pet care items to find the perfect gift for your four-legged family member. 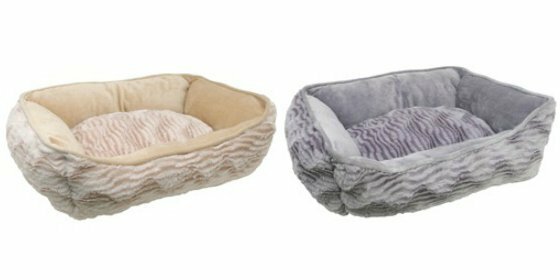 Keep your cat warm and cozy this winter with a 100% washable cushy new cat bed, or busy at play with any one of the exciting, enticing toys offered. Santa won't forget a gift for you; don't forget your pet! Catit Design Home Hideaway is a great way to spoil your pets while not spoiling your carefully selected home furniture and design. 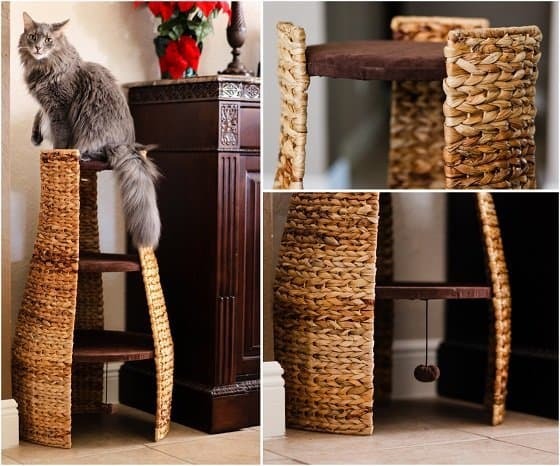 Made of shred-resistant natural banana leaf panels, this hideway will fit right into your home decor while making your pets happy with the three sturdy platforms for resting or playing, as well as a comfy hammock and cozy bed for sleep and relaxation. It also comes with a hanging sea grass toy for them to play around with. 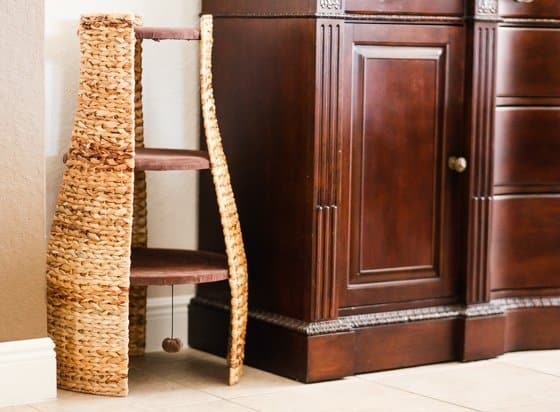 It will become your cat's favorite piece of furniture and hopefully they would leave the couch alone, yet it will not stand out like a sore thumb so it can be featured in main areas rather than tucked away somewhere guests won't see it. always treasured more than material gifts, so giving a few days in a sunny destination is the perfect gift of all. 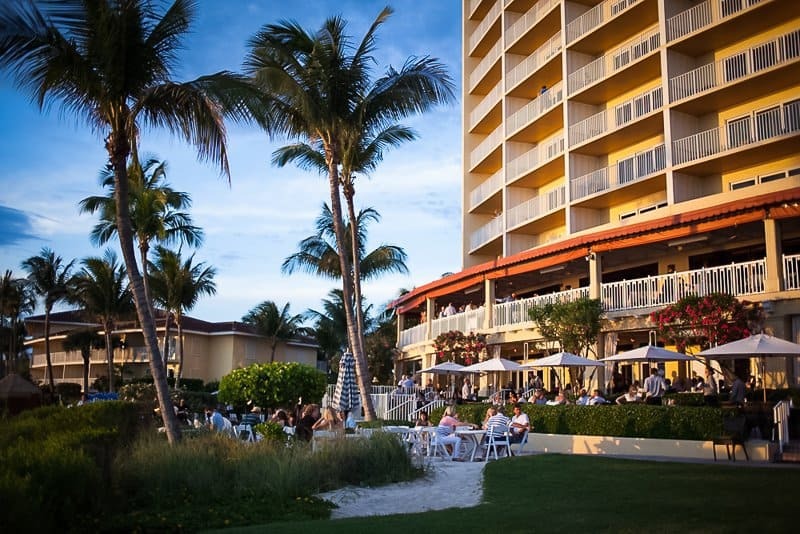 A vacation at La Playa Resort in Florida coupled with a spa treatment we discussed in the For Her guide is a perfect gift for families. beachfront lanai rooms, nightly firepit gatherings, tiki lights and candlelit dinners while enjoying a wide array of watersports and some of the most unique massages and body treatments to finish up the day with. Drop a hint to grandparents or your spouse that you want to enjoy something more treasured - time with them while relaxing after the holiday rush. 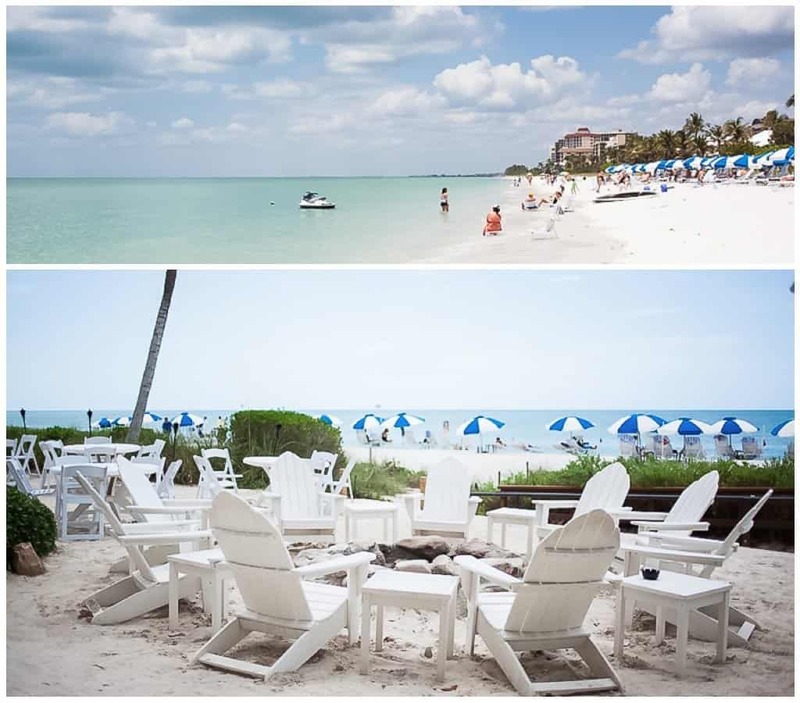 To read more about La Playa, check out our travel guide to Naples and La Playa feature. Next articleShould You Skip the Fabric Softener?